Konata haruhi is a ika fan? Full House Communications and TCZ. 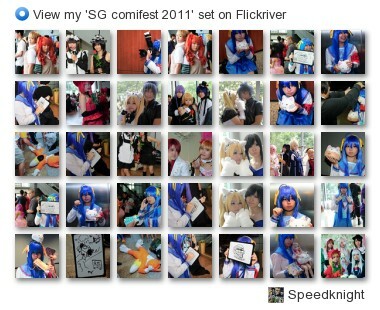 its also supported by Comic Society (Singapore). The event was held over at Suntec Convention hall concourse at level 3,from the 5-6 of march. Speedknight.com was there to capture that very moment,link to photo album is right after the break!